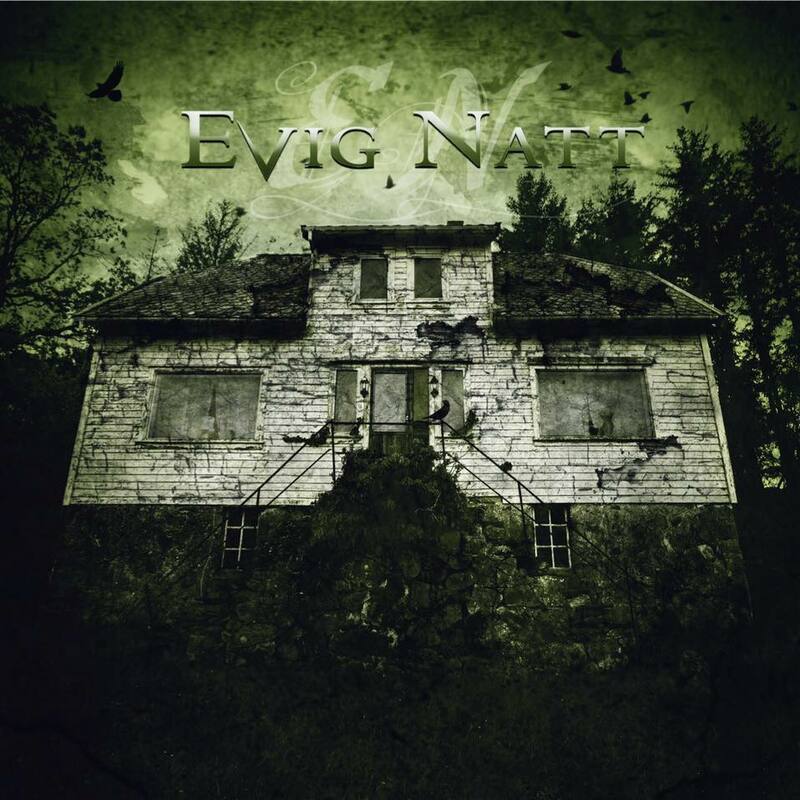 Six years it took for EVIG NATT’s third studio album to come out. The Norwegian quintet made an album as dark as their band name, which means ‘eternal night’ in their native tongue. EVIG NATT makes doom metal with progressive as well as symphonic elements. Both are light and most of the time in the background. The focus lies mainly on the rhythms and the voices. Kirsten Jørgensen sings the clear vocals. She has a very strong und full alto vocal range. Besides playing the bass, Stein Roger Sund sings the guttural vocals. Most of the sounds are dominated by an unhasty rhythm, which underscores the progressive and doom style. It reminds me of old TRISTANIA-stuff or of SWALLOW THE SUN. Sadly, they didn’t get it as round as the named bands. Sometime EVIG NATT seems not to be thought through. It would be better if the vocal, piano and drum lines were more interlaced and better mixed up. The vocals are in some parts too dominant, drowning out the other musical elements. Nonetheless, EVIG NATT made an album full of dark emotions. It is symphonic and depressive, almost reservedly majestic. In face of the many growl-parts, the music conveys not aggression but carefree resignation. It is a perfect listen for a rainy autumn day. A suggestion for every doom-fan, who likes TRISTANIA, SWALLOW THE SUN or DRACONIAN. And last but not least: Check out their music video ‘Wildfire’!! It is a beautiful piece of art!